A shop flor production schedule is a vital component of any manufacturing process. Managing work centers, equipment, materials, and people to ensure production orders stay on-track and meet deadlines is an on-going juggling act. For production planners and others that use Microsoft Dynamics NAV to manage their manufacturing process, there is now a graphical dispatch list available to simplify the process. 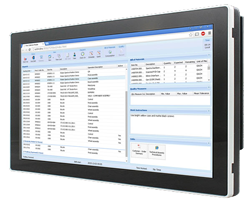 Shop Floor Insight from Insight Works adds a graphical layer to the Dynamics NAV production schedule enabling production managers and employees to view and manage loading more effectively.